As our chassis get more floppy there are times where you might have a bit too much flex. Most tuning options deal with the lateral flex, however there are very few that deal with the longitudinal flex. 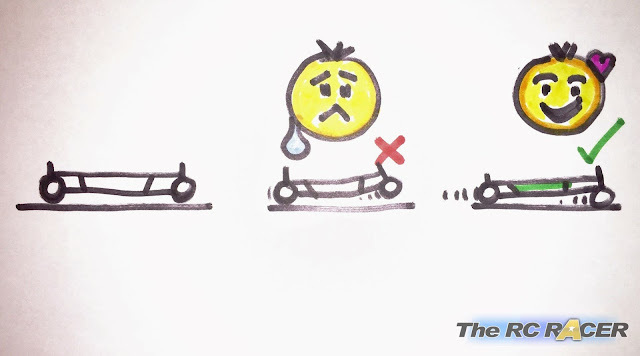 The top deck is part of the solution, but it is still possible for a chassis to 'banana bend' when the load moves around the chassis, loosing momentum and reducing throttle response. This technical diagram shows what could happen. 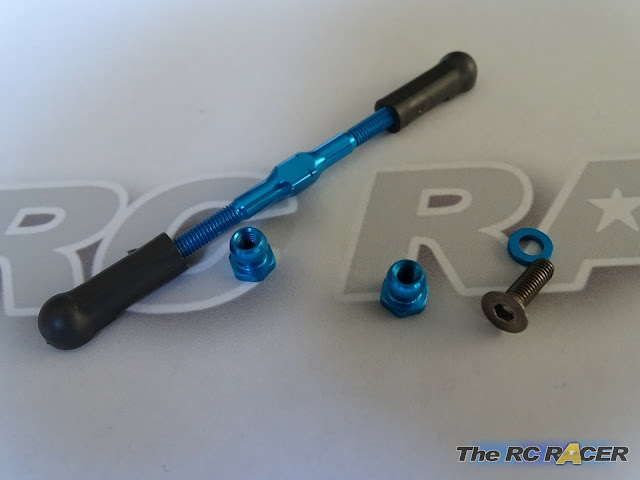 Luckily for us Tamiya racers the designers of the TRF419X has anticipated this, and you can easily reduce that lateral flex with a torque link ;) So let's do it! 1x 1mm spacer (I used one from Tamiya 53539 spacer kit). First up you need to remove the centre post. 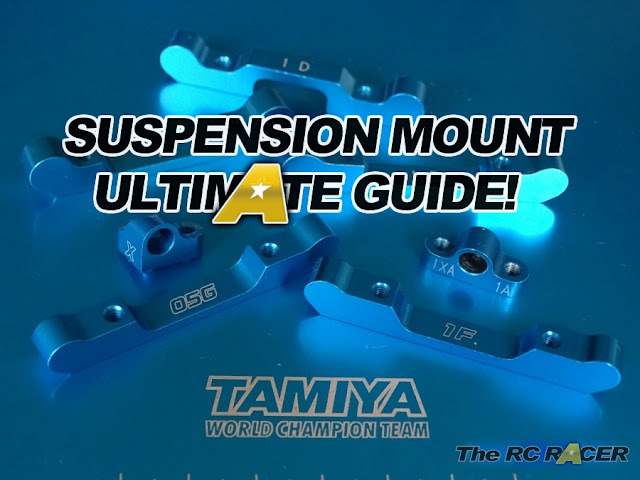 (If you use it) from the motor mount. The 1mm spacer ensures the bar is horizontal. Now add the longer screw (3x10mm) pop on the 1mm spacer and then add the ball nut. 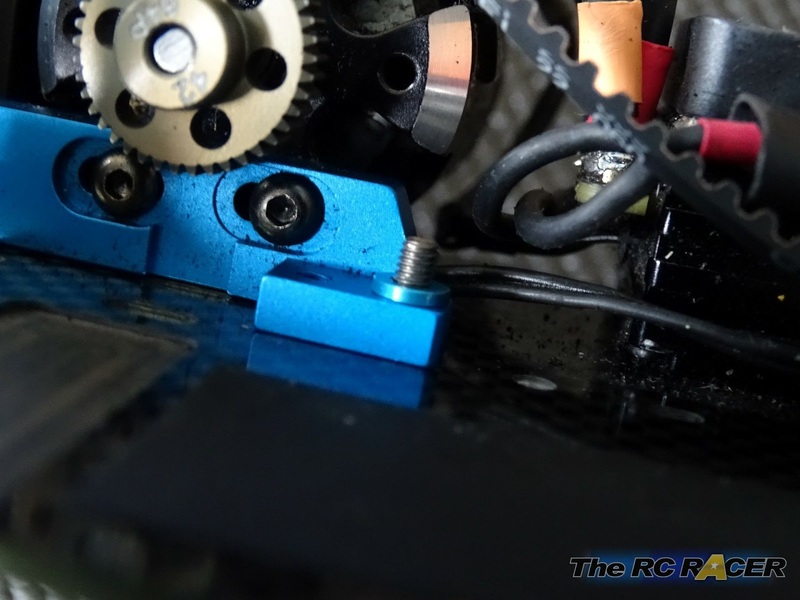 (The motor mount is 4m high and the servo mount is 5mm high, so the spacer just ensures the bar is horizontal. 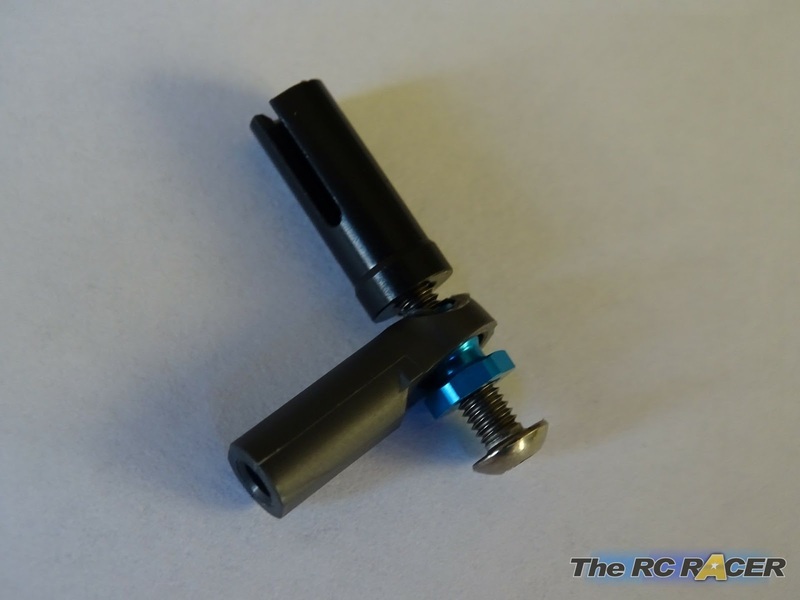 If you want to mount the antenna back on the servo mount part, then use a longer screw and cut the top of the ball link to ensure that the screw can fit through it. You can be generous with hole on the adjuster. It does not have to move that freely. Now you need to make the turnbuckle to the right length to hold the ball nuts without warping your chassis. 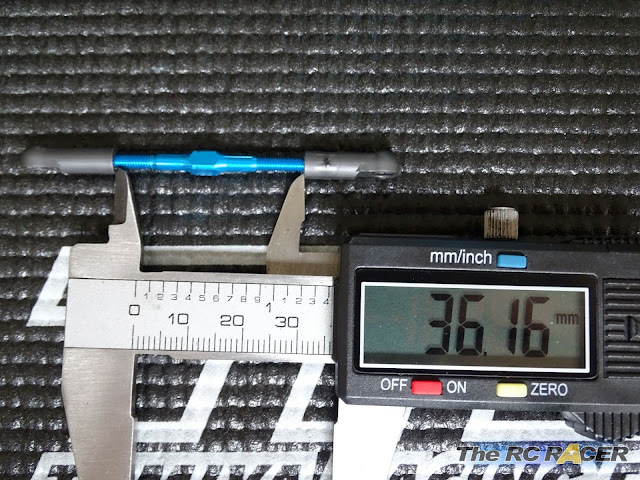 I would start with 36.1mm between the end of the adjusters and then just tighten or loosen the turnbuckle until you can easily moved the turnbuckle on the ball nuts. This shows that it is the right size and not too short or too long. . NOTE: It is essential that once you fit it on the ball nuts that you can move it freely on the balls when you tap it with your finger, otherwise it is too tight and can warp your chassis. I run blinky, so I was a little dubious about the above modification making much difference. When I started to run the car it did feel a little more punchy. At first I thought it may have been my Fantom giving me the extra pep. So I popped off the turnbuckle to see if I felt any difference. The next race I could feel that the car was slightly less aggressive from launch and at other times when I had to accelerate from a low speed. So I popped it back, and it stayed on for the last few races. It is hard to tangibly test but to me it felt more direct, so I am going to explore it more and see what other possibilities this concept can achieve, as it may help in the carpet season that approaches. It would be interesting to know how you guys find it, especially those on high grip and running mod. 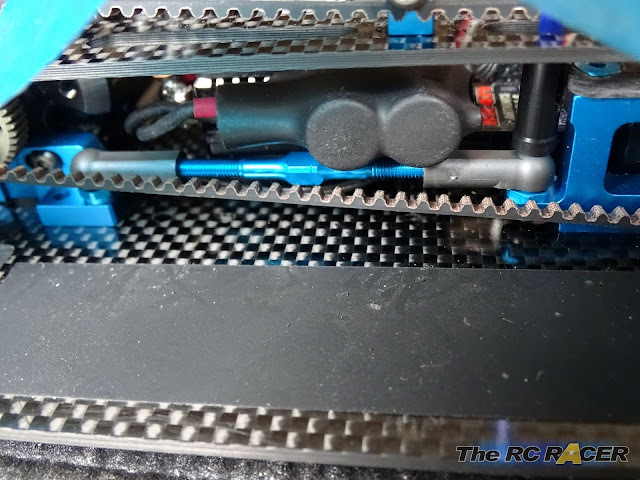 Just want to say that this modification works on the TRF 419, too.